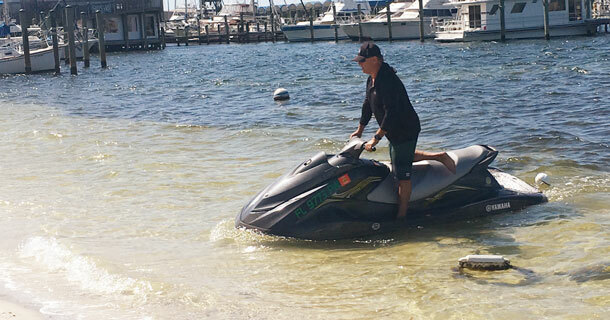 Scott, at 54 years old, is the very active owner of a jet ski rental company in the Panama City area. It’s not only a busy business to be in, but also physically demanding on a person’s back. When Scott began experiencing terrible backaches and hip pain, he knew he needed to take action. After his long days hauling around jet skis, Scott notes that he would come home stiff as a board. Unfortunately, rest wasn’t an option for this busy small business owner, so to help manage the pain, Scott purchased a $3,000 massage chair to try to relieve the pain symptoms. Each night he’d sit in his chair, take anti-inflammatory pills and try to get ready for his next 12-hour day. Weeks later, finally recognizing the massage chair and pills were not helping, Scott sought professional help at a pain management clinic. The steroid injections Scott received would provide temporary relief, but the pain inevitably returned a few weeks later. He also tried various stretches, yoga and other nonsurgical options, but nothing alleviated the pain in his back or down his leg. Scott visited Dr. Rohan at Northwest Florida Spine where diagnostic tests at the spine center revealed he had spinal stenosis. Stenosis is a condition that can develop as a person ages, particularly in those over 50. It relates to a narrowing of the spinal canal, which places pressure on the spinal cord and nerves because there is not enough room for them. Much like having a ring on a finger, if the finger becomes injured or inflamed, the ring constricts and causes pain. 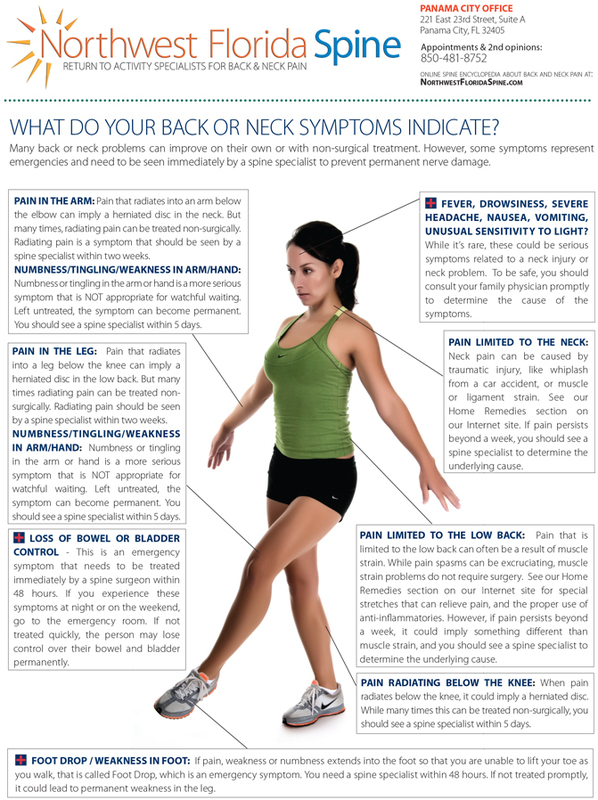 The pain caused by stenosis is typically focused in the low back area and can shoot down the legs and flare up after walking or exercising. 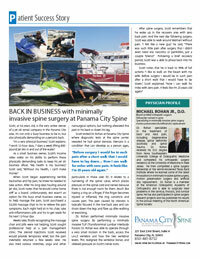 Dr. Rohan performed minimally invasive spine surgery. By performing a minimally invasive TLIF (Transforaminal Lumbar Interbody Fusion) Dr. Rohan was able to operate through a very small incision in the back, access the L4-L5 vertebra and fuse the two vertebral levels. This realigned the vertebral bones and relieved pressure on Scott’s nerve roots. After spine surgery, Scott remembers that he woke up in the recovery area with zero back pain. And the next day following surgery, Scott was able to walk around Walmart without pain. “I felt like a new guy,” he said, “There was such little pain after surgery that I didn’t even need any narcotics or painkillers, just a couple Tylenol.” Following a brief recovery period, Scott was a able to phase back into his business.